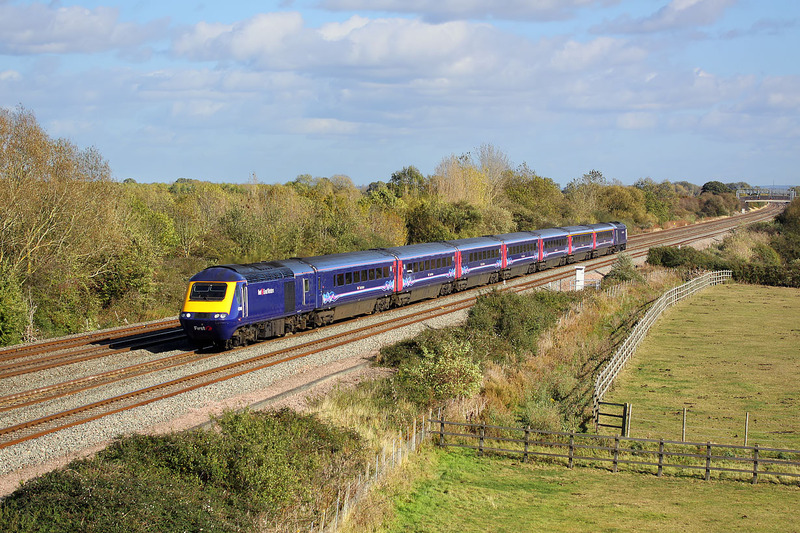 43140 speeds past Circourt Bridge, Denchworth in fine autumnal lighting on 18 October 2011 with the 1B37 13:15 Paddington to Cardiff First Great Western service. 43140 entered service in April 1980, and here it is over 31 years later still travelling up and down the Great Western Mainline at 125mph every day. Ironically conceived as a stop gap measure until electrification and the APT took over, the Class 43 has instead proved to be one of the longest lived and certainly the most successful design of diesel loco ever to run in this country.